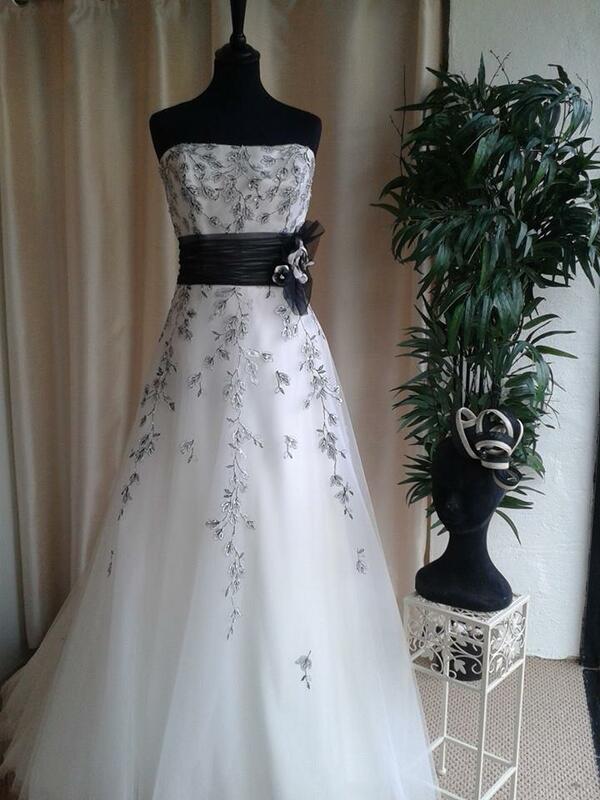 Bride2b.ie will be on Ireland AM this coming Monday morning the 25th at 9.45 am where we will be show casing our amazing, affordable bridal gowns! 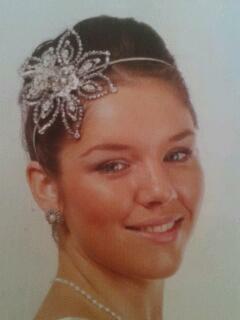 This headpiece a diamond flower cost €100. 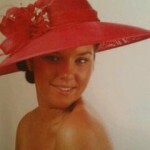 Now ladies, can I say the hat is back, and it’s amazing! 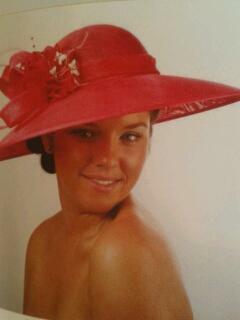 This hat is a raspberry colour simple flower on it not to much. 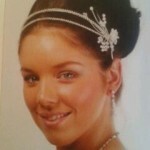 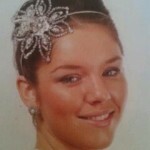 Here I am showing a fab Silver Double banded Diamond Tiara, simple and effective priced at 90 euros. 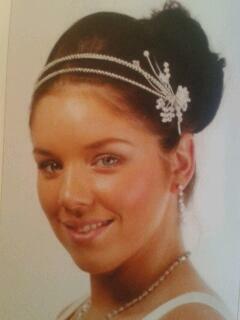 Silver is a brilliant colour on all hair colours, especially on fair and red heads. 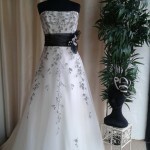 Contact Bride2b.ie 091-842645 for any more info. 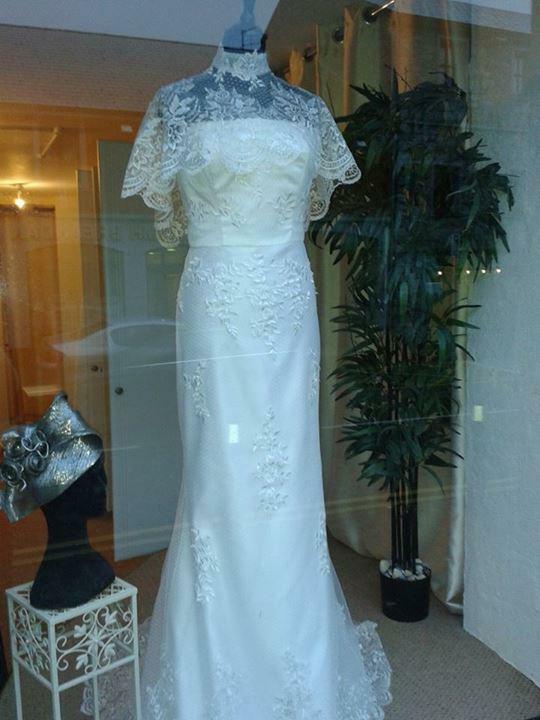 Bride2b.ie Wedding Dress shop, Loughrea celebrates two years in business and would like to thank all its customers past and present. 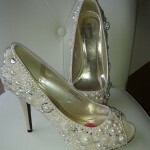 To all the brides who are getting married, save a huge amount of money when you purchase your bridal shoes. 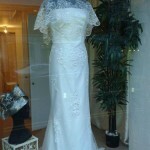 The picture below shows a pair of Dunnes stores shoes priced at €25. 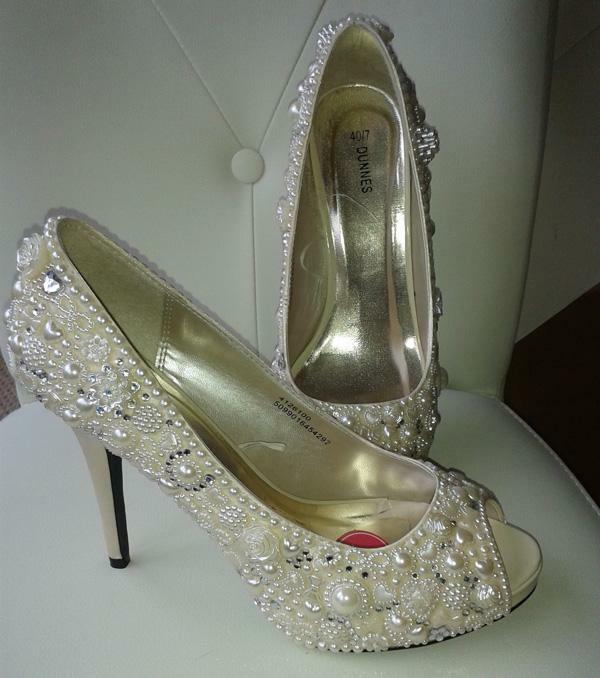 They are then blinged up with diamond & pearl beads, the cost of this add on is only €35 and they look as good as any Designer shoes which would cost in excess of €400.